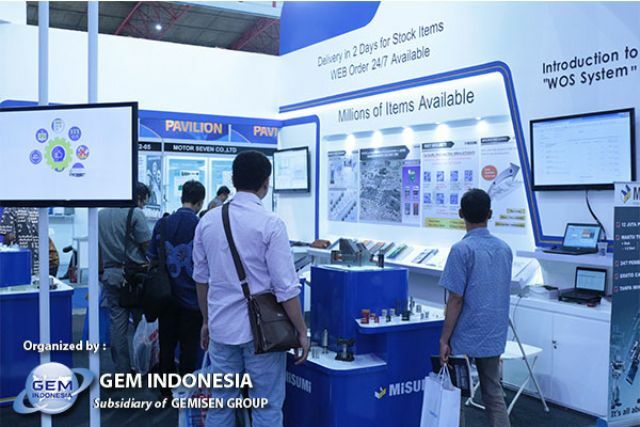 INAFASTENER 2017 will be held from March 29 to April 1, to continue to allow for access to the country’s brisk fastener market (photo courtesy of GEM Indonesia). Indonesia is the fourth most populous country in the world, and at the same time is one of the largest economies, agriculture, industry and service industry in the Association of South-East Asian Nations (ASEAN). The largest economic sector in Indonesia is manufacturing and processing, which contributes around 24% of the Gross Domestic Product and one of the local industries that have been on rapid growth is the fastener industry. Driven by brisk car production coupled with growing construction spending as a result of the country's strong economic growth and continued industrialization, local market demand for fasteners is expected to continue to grow significantly over the next six years, especially after the Indonesian government announced in February, 2011 the construction of six economic corridors in the country as part of its 14-year vision economic development plan between 2011 and 2025. Having been underway since February, 2012, Sumatra economic corridor projects include major infrastructure developments as the Java highway, connecting Jakarta and Surabaya, double-track railway and so on. These projects will greatly boost the Indonesian fastener requirements, while stimulating domestic demand, not to mention ever more fasteners are needed in car production. With fasteners increasingly needed in automotive, construction and machinery industries, the global market for fasteners is projected to show a compound annual growth rate of over 6% during 2014-2018. 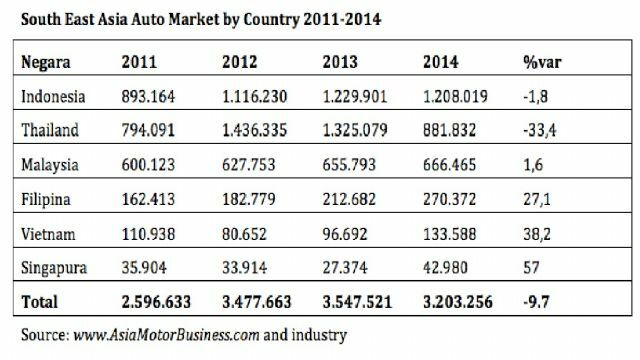 Indonesia has currently become the largest auto market in ASEAN. Among the most promising driving force for the market are cars. As more than 100 million automobiles are predicted by many market observers, such as U.S.-based IHS Automotive, to be sold in 2018, an estimated US$26.1 billion worth of automotive fasteners will be demanded then, to generate overall revenue of some US$ 24,6 billion. It is not overstated that Asia Pacific has become world's most important manufacturing base of fasteners, for it now commands a 39.8% share of total fastener production across the globe. In the scenario, the first INAFASTENER was held in conjunction with INAPA 2016, IIBT 2016, INABIKE 2016, Tyre & Rubber Indonesia 2016 and Con-Mine 2016. The 6-in-1 format proved successful by attracting 1,003 exhibitors from 19 countries across the different sectors, and 25.920 attendees from over 31 countries in four days. Exclusively dedicated to fasteners and fixing technologies, INAFASTENER will take place again on March 29 through April 1, 2017 at Jakarta International Expo (JIEXPO) Kemayoran, Jakarta – Indonesia. The exhibition will cover a wide product range of industrial fasteners and fixings, assembly and installation systems, storage and logistic services. As part of the INAPA show, the second INAFASTENER will enable both buyers and sellers to network, learn and source new technologies and grow together with the industry, to reach new heights in their business status. The new innovation & solution for fastener and fixing technology. Business match making – the opportunity for the exhibitors to meet the target.